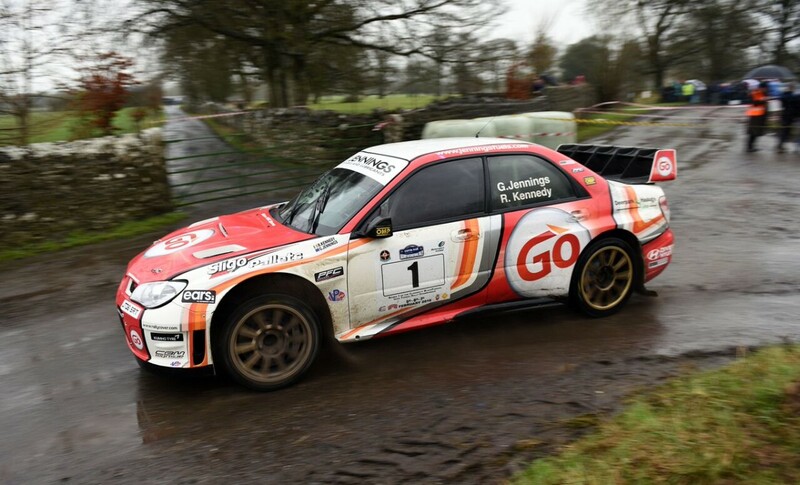 The Corrib Oil Galway International Rally gets underway on Friday the 3rd of February, and the list of early entries suggests a great weekends rallying is ahead. Already a competitive battle is shaping up between last years winner Gary Jennings, with Rory Kennedy co driving, in his Subaru WRC, Declan Boyle in his Fiesta WRC, National Champion Roy White in his similar car, and the R5 Fiestas of Cork 20 winner Josh Moffett, and another for his brother Sam, along with a number of the new Skoda and Citroen R5 cars adding to the mix. More top line entries are expected in the coming weeks. Overseas interest includes a two car German team of Porsche 911 cars, with the entry also including two of the iconic BMW M3 rally cars, and two of the latest BMW 1M versions. Early local entries include Jonathan Folan and Pat and Jonathan Kelly driving Subaru’s Richard, James and Sarah Whelan in BMW’s , Tommy Cahill and Enda O Leary in a Mitsubishi Evo and Andrew Burke and Colin Keegan in Citroen DS3. The Galway Race Course will play host to mechanical scrutineering on Friday the 3rd of February. The event will finish at the Clayton Hotel, Ballybrit, on the Sunday evening with the top cars crossing the finish ramp and the victors spraying the champagne. The management and staff of the Clayton Hotel will be celebrating the fact that this will be the 10th consecutive year of their involvement with the rally. The event will run over two days and will have a total of 15 closed road stages. The demanding route consists of 9 stages on Saturday centered on the town of Athenry with a further 6 stages being covered on the Sunday based in the town of Tuam in north Galway. Detailed Maps and time schedules will be available from the Official Rally Programme which will be available closer the event. A list of outlets will be published on the event website shortly. The 2017 event will have International Status and will be the opening round of the Clonakilty Blackpudding Irish Tarmac Rally Championship The event will include an Historic Rally and a Junior Rally and an entry of 100 teams is expected when entries close. The rally will bring a welcome early season boost to visitor numbers in Galway city and county. The event generates over 2,000 bed nights annually as most of the hundred or so teams, some of up to 30 people, spend two weekends in the city and county between making their route notes and taking part in the event itself. Corrib Oil, the title sponsors have a range of rally jackets and other rally products available from their website and their petrol station outlets nationwide. The Rally Launch will take place on Friday 20th January next at 8.00pm at the Clayton Hotel, and anyone interested is invited to attend. More information can be found on the rally website www.galwayrally.com and on social media accounts.